I receive a lot of questions about skincare, but one of the most prevalent one is about evening out skintone. Tackling hyperpigmentation, dark spots or sun damage is a challenge and sometimes with over the counter products only so much progress can be made. However, one category of products that has had the strongest effect on helping me even out my skin tone is peels. Whether in the form of pads or a liquid like mask, regular use of them over time has helped reduce any uneven pigmentation on my skin. I will stress again though that all of these products are over the counter so results will never be as strong as a medical treatment or something prescribed from the dermatologist. But I still felt it was necessary to do this post and talk about some of my favorite ones that I have tried over the years, as well as three recent ones that I added to my routine and enjoyed greatly. Three points to note before we get into the reviews: 1. If you are going to add a peel into your routine, it is essential that you wear sunscreen during the day (frankly you should always wear one, but especially when using peels). 2. Do a patch test to see how your skin will react. 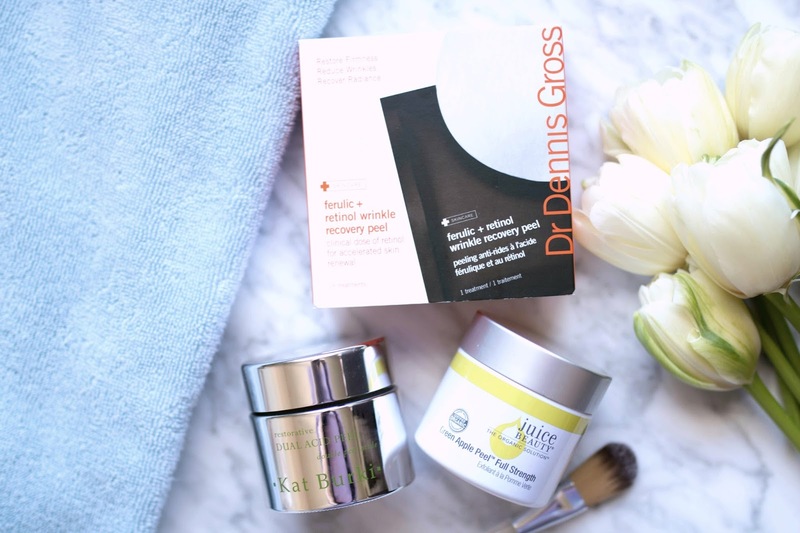 Peels are designed to be exfoliating and use different types of acids, so it's wise to test it out on a small part of the face to ensure no reaction will take place. 3. I always apply my peels in the evening since I may get a tad red or flushed after, and I try to use them no more than 2x a week since I don't want to overexfoliate my skin. 1. Dr. Dennis Gross Ferulic + Retinol Wrinkle Recovery Peel - These are a single use pad that can be wiped over the skin after cleansing and before applying treatment products. Though these state they are a "wrinkle recovery peel" due to the addition of retinol and ferulic acid in the pads, I find that using these for the past 2 months has helped slowly even out my skin tone, especially a dark spot on my cheek that recently popped up. It didn't completely erase it, but I saw a definite fading. Additionally, these are wonderful for helping address any anti-aging concerns such as firmness, fine lines and lackluster skin. 2. Kat Burki Dual Acid Peel - I am new to the Kat Burki line, but was excited to have my introduction be this peel. 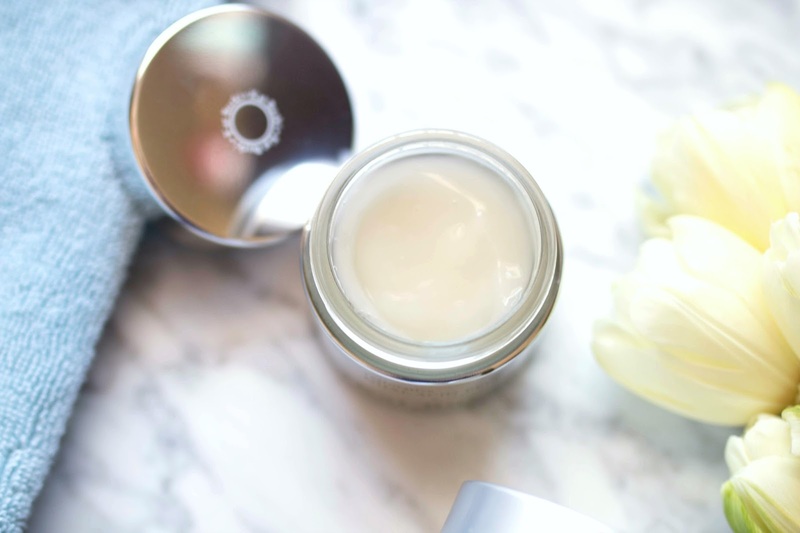 It comes with a brush which I find always makes it feel more decadent when applying, and it's designed to help retexturize, refine and reverse sun damage. 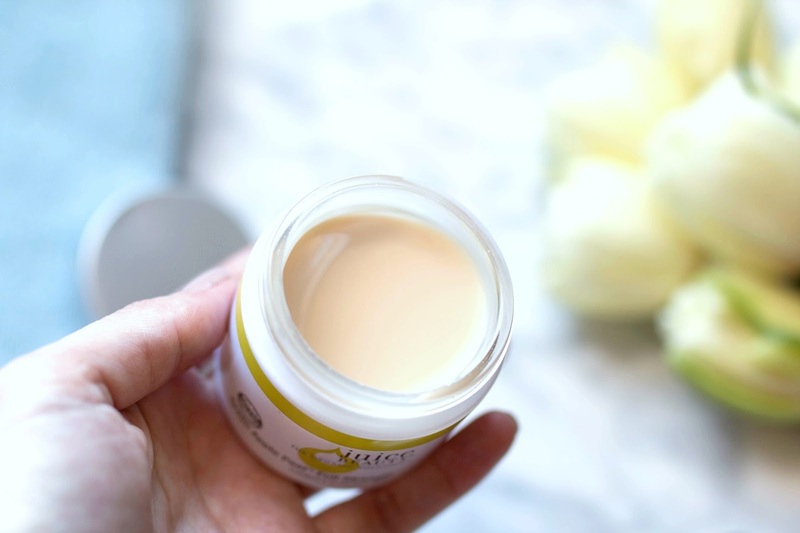 With ingredients like avocado oil, glycolic acid and hyaluronic acid, I found this peel helped not only smooth and even out my skin, but keep it hydrated as well. Initially when I first apply it, there is a strong tingling sensation. I was worried that it would remain the entire 10 minutes that I had to leave it on, but thankfully it subsided within the first 60 seconds. Occasionally with some peels, my skin can begin to feel tight as the liquid dries on the skin. Thankfully that was not the case at all - instead my skin felt incredibly comfortable and I forgot I was even wearing the peel. It came off very easily with warm water and I followed it with a soothing hydrating serum (love this one) and moisturizer (used this one). 3. Juice Beauty Green Apple Full Strength Peel - I heard wonderful things about this Juice Beauty peel so I was thrilled to be able to finally try it for myself. The texture is a lot runnier than the Kat Burki so it takes some getting used to when applying, but a thin layer is all that is needed for the face. I felt a tingling sensation within the first 30 seconds, but it subsided quickly and I was able to leave this on for 15 minutes. Afterwards, my skin was a tad flushed and red for about 20 minutes but it quickly went away and my skin felt soft, supple and radiant. In addition to addressing hyperpigmentation, this peel helps address firmness and reduces the appearance of fine lines. If you are sensitive or have rosacea, I would recommend trying their peel for sensitive skin rather than the full strength.